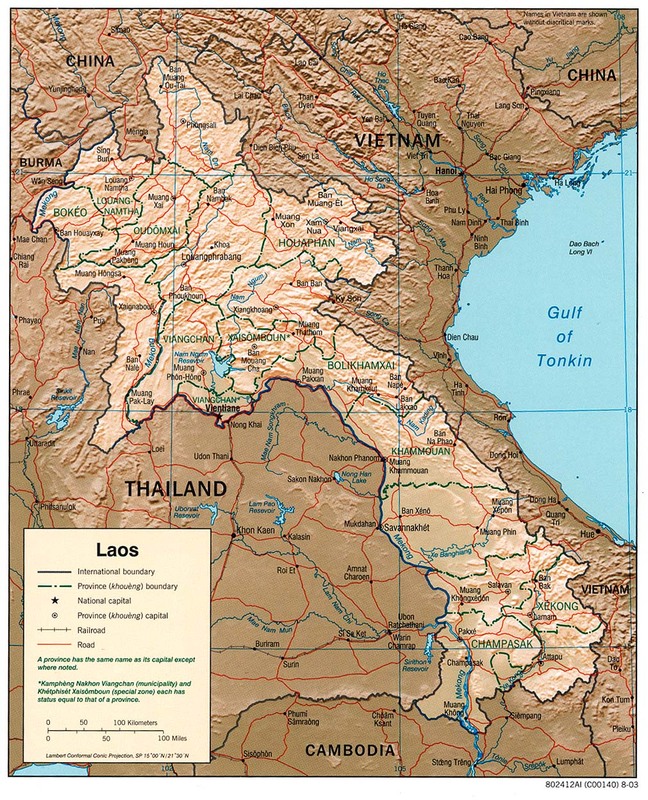 Laos is one of the few Communist countries left in the world. Until 1988 tourists were not allowed access to Laos, but the country has now opened up and it is perfectly feasible to travel all over the country. The number of tourists is expected to continue increasing over the next few years as more and more people discover the delights of this laid-back country of mountains and rivers. For now, Laos remains relatively isolated and undeveloped. Its capital, Vientiane, is more like a big village than a crowded Asian hub and life throughout the country is slow-paced. Most people come to Laos and make a brief tour of Vientiane and UNESCO World Heritage-listed Luang Prabang with perhaps a brief detour to the mysterious Plain of Jars. But those who make the effort to explore further a field will be well rewarded with luscious landscapes, friendly people and unique glimpses of a country hardly changed for over a century.